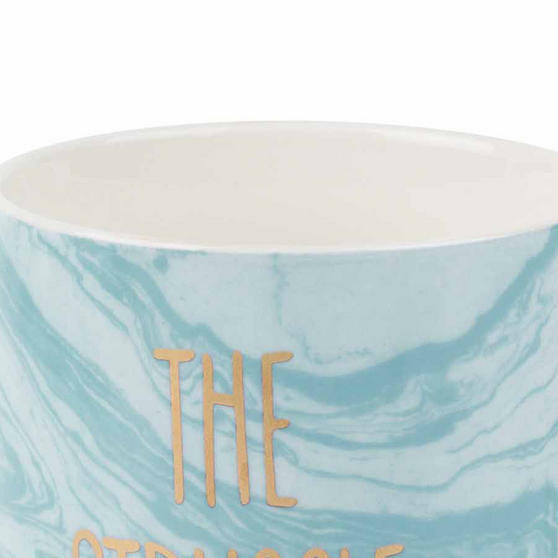 From Portobello by Inspire, this lovely blue mug is ideal for enjoying a large cup of tea. With wonderfully charming features and the words ‘the struggle is real’ printed on the exterior, this mug looks fantastic at home or at work. 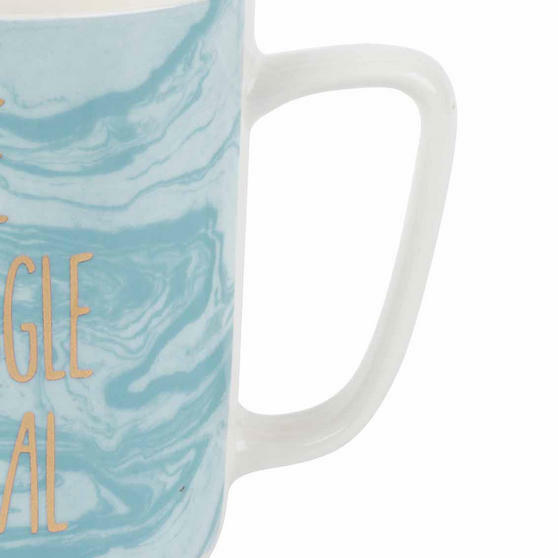 Practical and pretty, the mug is comfortable to hold and has a large capacity. Although not dishwasher or microwave safe, the mug is crafted from new bone china with intricate gold plated writing that can easily be washed by hand. 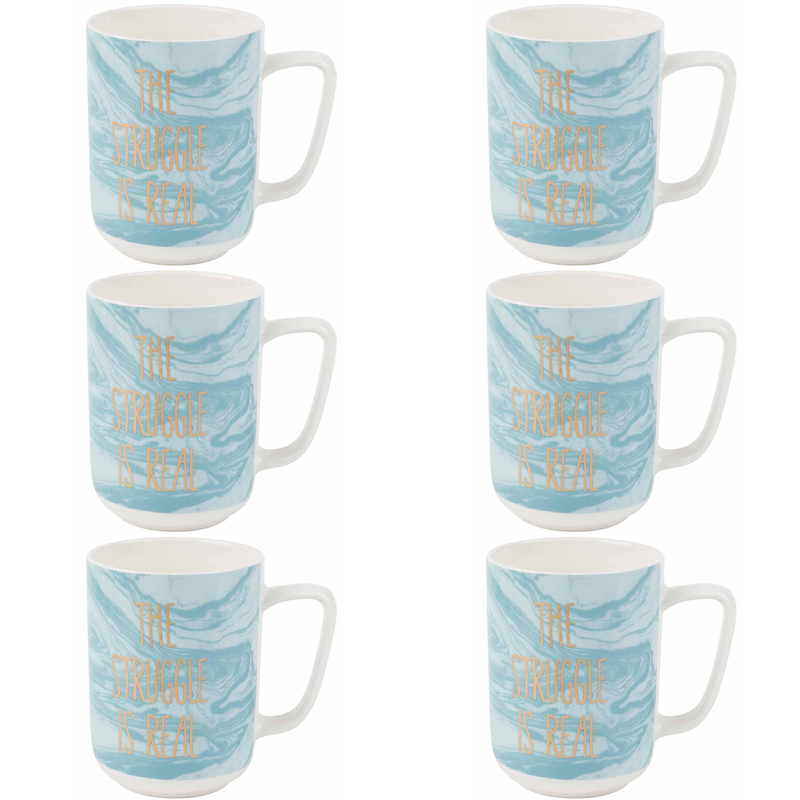 Brilliantly practical these mugs are comfortable to hold with an easy grip handle and can be washed effortlessly in soapy water. 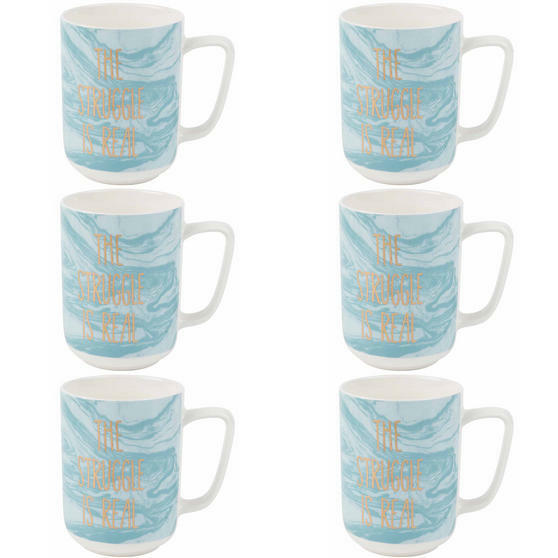 Perfect for anyone with a love of tea or coffee the mugs have a big capacity, measuring 12 cm tall so you can have large hot drinks. 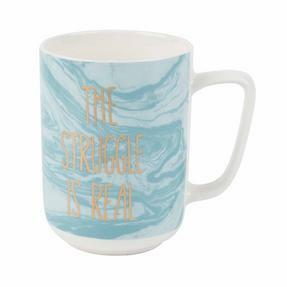 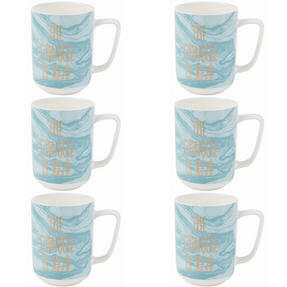 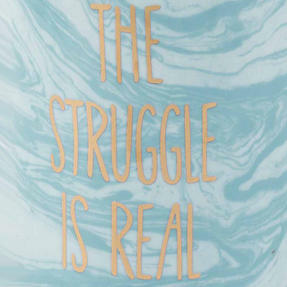 This charming mug set has a stylish blue background and the words The Struggle Is Real printed in gold, it looks great in any setting.